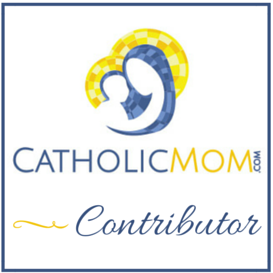 Welcome to Small Success Thursday, hosted by CatholicMom.com on their Facebook page. This is our chance to look back at the last week and see what’s been going right in our lives, no matter how small they seem to be. It’s the little things that add up and make the week so good! It’s been a while since I participated in Small Success Thursday. It’s not that good things haven’t happened; I’ve just been trying to get my life on an even keel. Things were so hectic at the end of last year (beginning when we came home from our vacation in mid-November) that I felt like I had gone completely crazy. Our schedule didn’t slow down enough for me to recover until Christmas Day, and then it took until almost mid-January to feel like I had recovered. I had truly over-extended myself, and so I made a resolution for this year: I will try to keep more free space on my calendar and say “no” to more things. So far, I’m doing pretty well. I was super-pumped for a book discussion at my parish in January: it was going to be on an abridged versin of a biography of St. Teresa of Calcutta. Then I remembered that I needed to say no to things. So I did. I read part of the book (and I will eventually finish), and declined going to the discussion. Since then, I’ve really worked to say no more often. Stress level: decreased! I’ve been using my Bullet Journal more effectively this week, thanks to a video series that was shared at CatholicMom.com last week. When I first set it up , I was struggling to use it the way the website talks about setting it up. Somehow, it seemed like a daily chore to set each day up and migrate things and write out a whole page of monthly stuff. But doing it with only unique appointments and chores on a two-page week setup with room for various goals? Magic! It’s been more useful, and now I’m thinking of ways to spruce it up and make it prettier. And what would a Small Success post from me be without something about running? Incomplete, that’s what. I set goals for 2017 for my spiritual life, my family life, my writing, and for running. My running goals were two things: 100 miles in the first 100 days of the year and 500 miles total for 2017. I had signed up for a 100 Miler a few years ago, before I actually started running, and I was convinced it was a difficult goal. To be honest, it was a difficult goal for me back then. Even if part of the miles were walked (which I’m also counting this year for both running goals), I was unsure I’d be able to do it. That year, I was right. I don’t know if I even logged 100 miles for the year. But the following year was when I did my first Couch to 5K, so now it’s a reasonable goal. I didn’t realize how reasonable it actually was until mid-February, though, when I looked at my totals and saw that I was going to hit that 100 mile mark…at the end of February. Yup. I did it. On February 27, the 58th day of the year, I rolled past 100 miles. And I’m going for a run at the YMCA tonight, too. As long as I stay healthy, 500 miles this year won’t be as big a deal as I thought it would be. We’ll see if I do another running streak this summer. So what are your Small Successes this week? Comment below or go to the Catholic Mom Facebook page and share there!